Just the one enforced change for Glenavon with Marc Griffin coming in for the suspended James Singleton, though it will be Bobby Burns who replaces the left back. The Glens make one change as well, Dylan Davidson replacing Corey McMullan. 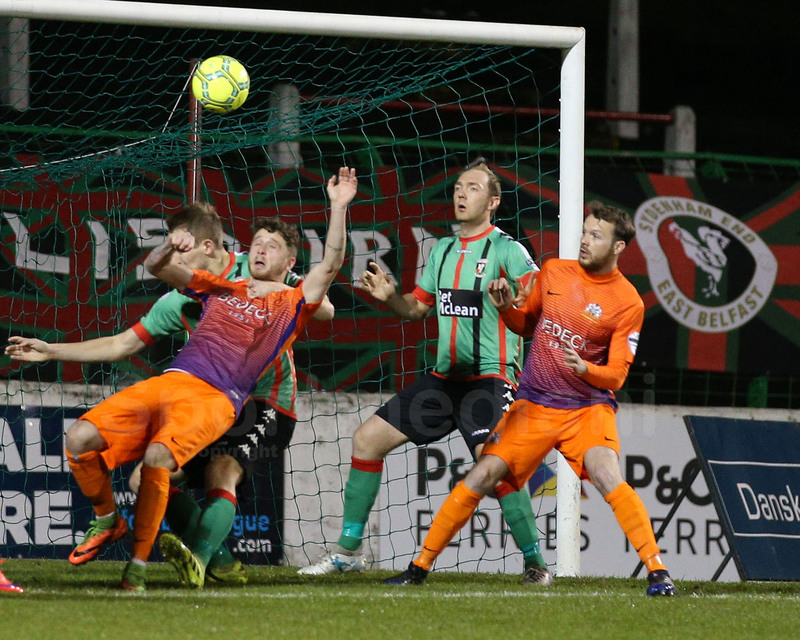 Moments after Andy Hall had a ‘goal’ disallowed, possibly for a hand ball in the build up, the Glens broke down the left through Curtis Allen. 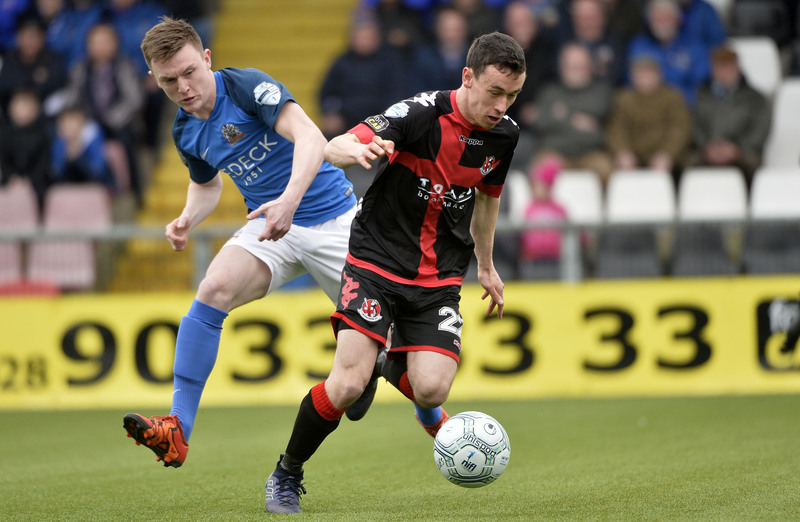 His low cross was deftly touched beyond the reach of Jonny Tuffey by Robbie McDaid. The lead lasted under two minutes though as Andy Hall nodded a Josh Daniels cross back across goal and Mitchell headed it in to level after 6 minutes. 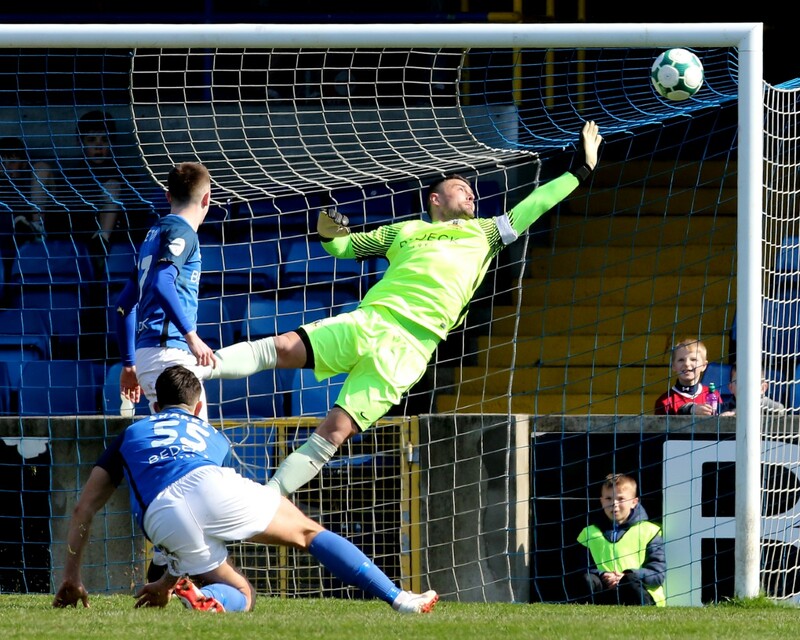 Glenavon then dominated most of the first half, Daniels having a low shot saved by Morris before the Glens keeper pulled off a great save diving to his right to push a fierce 30 yard drive from Sammy Clingan round the post. From the corner Andrew Doyle’s overhead kick fell for Burns and he forced Morris into another good save, getting down to tip his shot away from the foot of the post. The final fifteen minutes of the half became a bit scrappy with injuries to Clingan and Tre Sterling halting the momentum but in the 34th minute Hall put in a superb free kick that Ross Redman did well to clear for a corner, just avoiding putting the ball into his own net. In first-half stoppage time Rhys Marshall made a well-timed tackle in his own box to deny McDaid after he managed to find a way past Doyle. The hosts started the second half on the front foot and but for a fantastic save by Jonny Tuffey from a close range Allen header they would have been level. 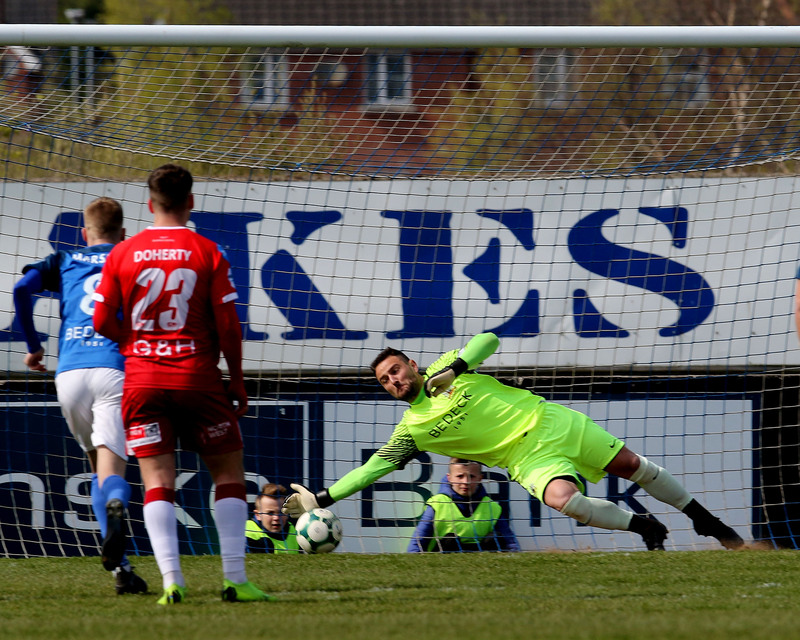 Glenavon responded with Mitchell’s cross-field pass finding Daniels who cut inside and tested Morris with a low shot from the edge of the box which the Glens keeper dealt with comfortably. Simon Kelly then made a great last-ditch tackle to deny McDaid a chance at a second goal before Tuffey took no chances with a Marcus Kane header from a James Knowles free kick, palming the ball over his bar. 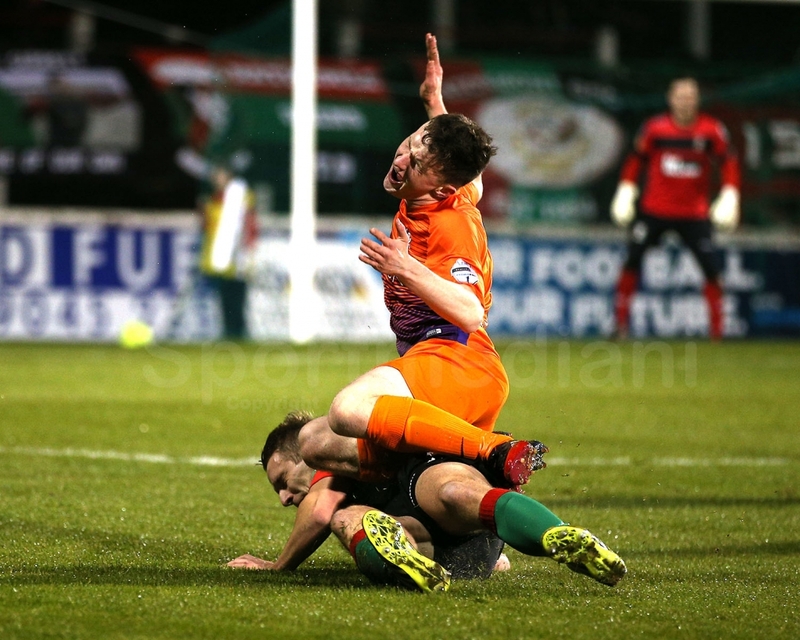 Griffin was soon claiming for a penalty when he seemed to be tripped in the box after a shot by Mark Sykes was blocked. 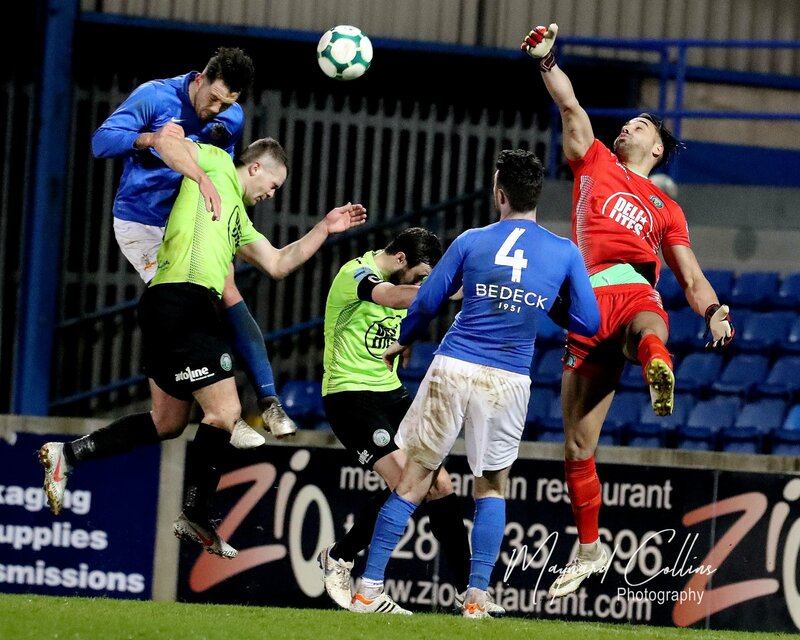 In the 66th minute it was that man Kelly to the rescue for Glenavon again, his tackle on Curtis Allen denying the striker a shot on goal. 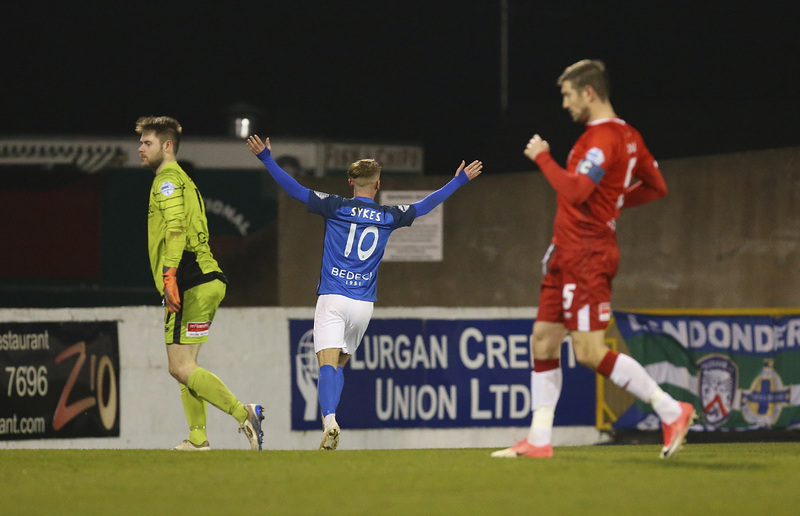 Glenavon went ahead in the 74th minute with Sammy Clingan’s fifth successful penalty of the season after Sterling tripped Sykes following a ball into the box by Gary Hamilton. Eight minutes later it was 3-1 with Clingan again scoring from the penalty spot. This time Referee Andrew Davey awarded the spot kick for a hand ball by Redman after he adjudged that he had handled Simon Kelly’s header following a corner by Bobby Burns. Goals: Mitchell 6, Clingan 74 pen and 82 pen.